Caring for a loved one requires strength, patience, creativity and an incredible amount of time. 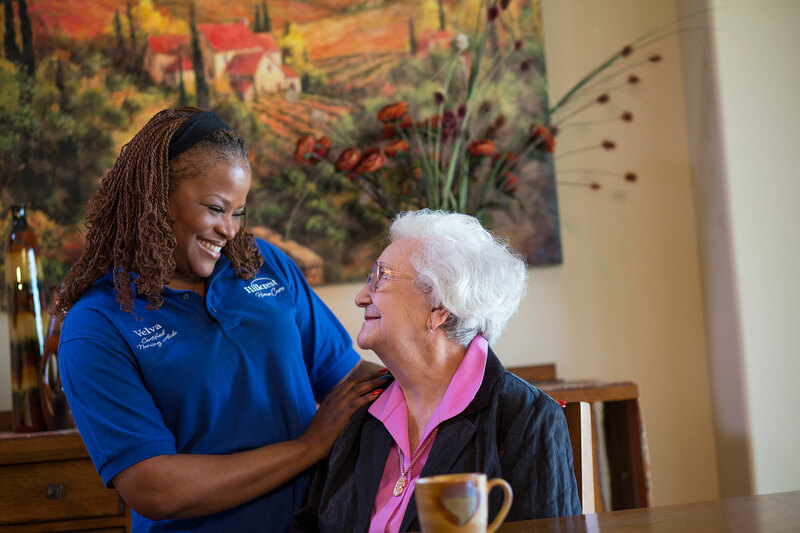 Available for short periods or around-the-clock, Hillcrest Caring Companions, In-home Personal Care enhances your caregiving efforts by providing assistance with bathing and dressing, housekeeping, laundry, transportation, exercising, companionship or anything else your loved one needs. 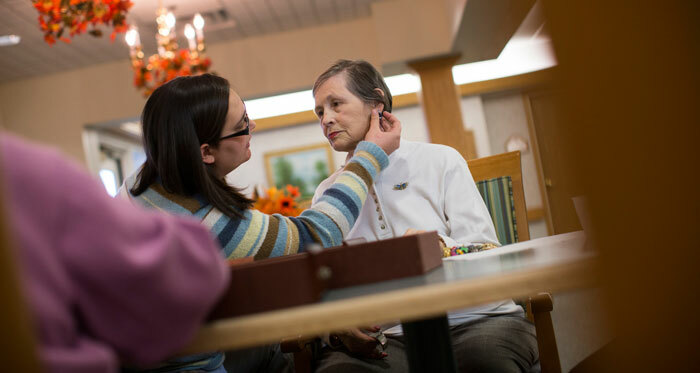 Through our in-home personal care services, sometimes called private duty care, loved ones are cared for by professionally trained team members tending to specific needs, while being in the comfort in their home or care facility. Team members who are specifically working with dementia clients receive additional training from Hillcrest’s innovative team of dementia educators. Caregivers receive the benefit of gaining time for respite or focusing on personal matters, while knowing that loved ones are in excellent hands. Please note that in-home personal care is not covered by Medicare or medical insurance. However, services may be eligible for coverage under some long-term care insurance policies. We encourage you to call our office to speak with our team to determine if Hillcrest Caring Companions’ services could benefit you and your loved one. 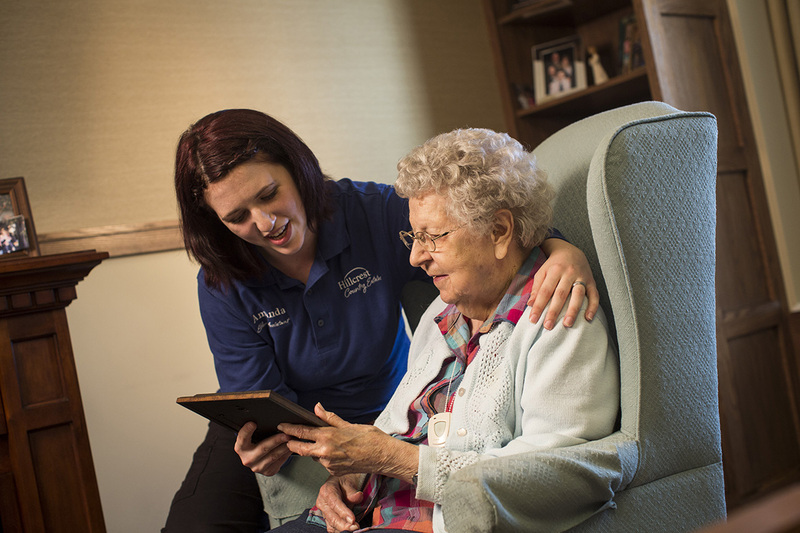 Team members at Hillcrest Caring Companions have a passion for working with aging adults. Many of them started providing in-home personal care services after experiences caring for their own aging family members. We understand how important relationships are to quality caregiving, so we pay special attention to finding the right caregiver for your family’s situation. Personal Care Services enable your loved one to remain safely at home as we help with the activities of daily living. The physical effects of aging can make even the simplest of daily activities difficult. Specialized Services are designed to address the very personalized needs of an individual. Some diseases such as Alzheimer’s (or other memory disorders) require a higher level of care and expertise. Our trained and experienced caregivers understand these needs and know how to successfully meet those expectations. These services may also come as personal requests or “visits” to help with certain tasks. Looking to make a difference in seniors’ lives? At Hillcrest Caring Companions, we are looking for top-quality caregivers who love what they do. If you wish to work with a company that cares about communication, integrity and support, then give us a call at (402) 682-6599.